Re-design the look of your entire building! 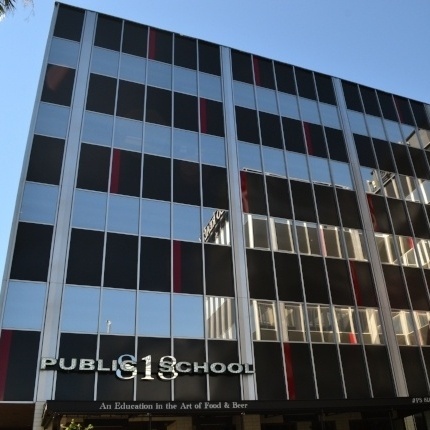 In Los Angeles, California as well as many other cities in the country, there are many buildings that were built back in the 1980's. These buildings now look outdated and bland compared to current architecture trends. 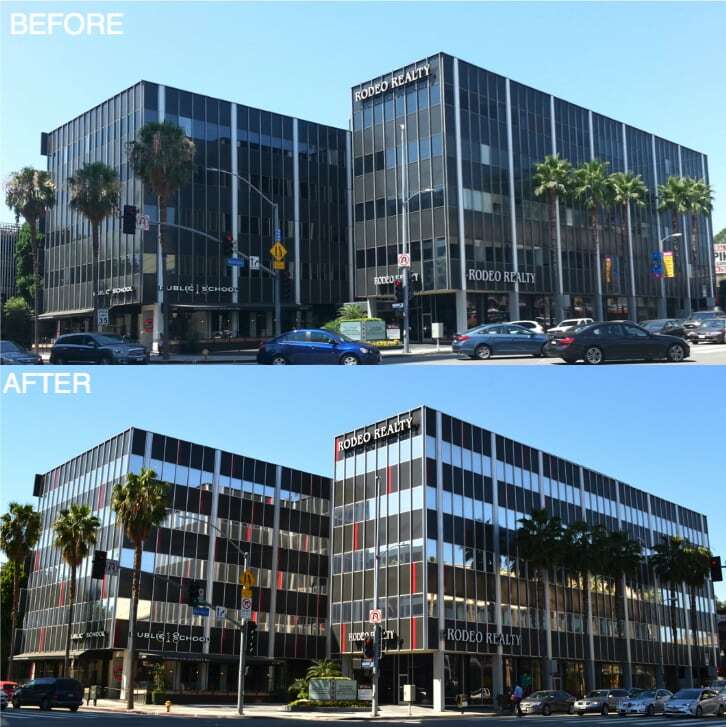 Our client came to us with one question: Is there a way to make our building look new again? Our goal was to work with the client on a design that was simple yet unique. It would enhance the look of their building, save energy, and remain cost effective. With just a few simple and affordable changes, we transformed this building to give it a clean, fresh look. The project was completed within a few months after the start date and the client was incredibly impressed with the result. There is an endless amount of possibilities when it comes to different colors of window film and vinyls that can be applied to the exterior of your building.